Genocide is defined as “the deliberate and systematic extermination of a national, racial, political, or cultural group.” It is a term that has become synonymous with the Hitler’s Germany, and with Rwanda. Often forgotten is the first genocide of the 20th Century – The Armenian Genocide. Just last week we marked Yom Hashoah which is the Remembrance of the Holocaust. I was honoured to take part in a wonderful prayer service at the Shaar last Thursday as we remembered the struggles and the pain for those who were victims of our world’s most recognized genocide. I really took the day to be an opportunity to remember all who have died at the hands of hatred and systemic annihilation. Although he was ruthless and wicked, Hitler was not the first to attempt to exterminate a whole group of people in the name of hatred of a people. The venomous hatred that Hitler displayed toward Jews had been seen before in leaders who also sought to advance their own cause by destroying the lives of others. 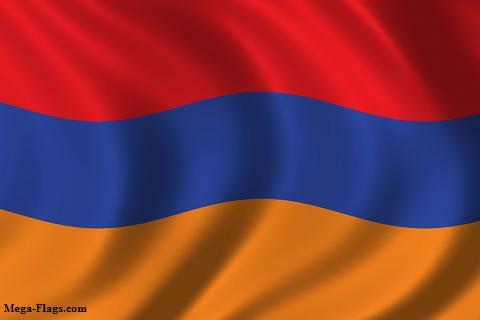 Today is Armenian Martyrs Day or Armenian Genocide Commemoration Day. On this day in 1915 The Ottoman Empire rounded up and imprisoned 250 Armenian intellectuals. This began a systemic effort the eventually lead to the death of over 1.5 million Armenian. They died due to starvation and exhaustion in Death Marches, poisoning, drowning, gassing, and mass burning. Talaat Pasha was the Interior Minister in the Ottoman Empire who was the architect of the Armenian Genocide. 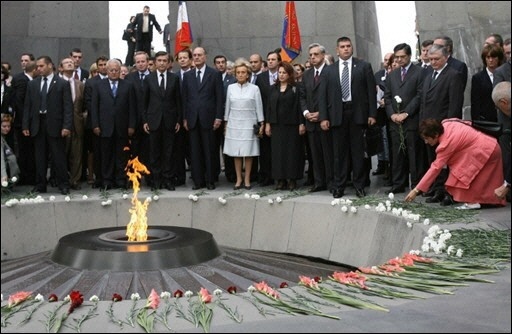 On this day people in tens of thousands of Armenians will visit the Armenian Genocide Memorial in Yerevan. There they will remember the atrocities of the past. They will remember the suffering and pain of their people. But we might lay aside what the world leaders are doing, or perhaps, ‘not doing’ and ask ourselves what we are doing. Today provides opportunity for us. Today, Yom Hashoah, and others days of Remembrance give us opportunity to seek to be people who speak up for peace, speak up for victims, and speak up for the truth. The denials of Turkey are in some strange way, another kind of violence against the people of Armenia and the descendents of the genocide. When we fail to acknowledge the sins of the past we are bound to repeat them in our future. When we deny the hurt of another, we deny any opportunity for healing and reconciliation. Let us not forget those who suffer unspeakable violence in the name of hatred of peoples. Let us find a voice to cry out for justice for those who are victims of such violence. And let us act in such a way that we might convict ourselves of any malice we have in our heart toward people who may be different from ourselves. Days like today, are a perfect opportunity to lament our human history of separation and violation and embrace a future hope of the embrace of peoples as God intended. In Louisville, at the corner of Fourth and Walnut, in the center of the shopping district, I was suddenly overwhelmed with the realization that I loved all these people, that they were mine and I theirs, that we could not be alien to one another even though we were total strangers. It was like waking from a dream of separateness, of spurious self-isolation…I have the immense joy of being man, a member of the race in which God Himself became incarnate. As if the sorrow and stupidities of the human condition could overwhelm me, now I realize that we are all one. And if only everybody could realize this! But it cannot be explained. There is no way of telling people that they are all walking around shining like the sun….There are no strangers!… the gate of heaven is everywhere. As Christians, we believe that God cared enough to become one with us. This incarnational truth means that we must find a way to respect the ‘other.’ Let us look back to that which was with a heart for seeing what we might be if we only have the courage to speak truth and live love. I wonder if our own P.M. Harper is courageously calling down the Turkish ire by denouncing the genocide practiced by the Turks over the Armenians. Politics. Would that everyone had the courage to speak the truth and let the chips fall where they may. I am not an apologist for politicians. They all are good at speaking the truth as it favours their aims. 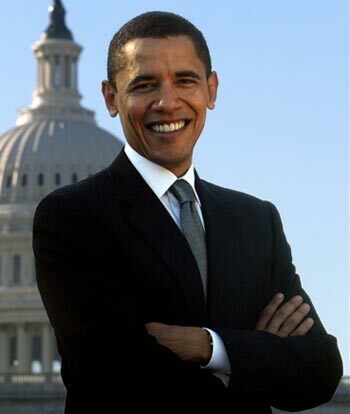 Nonetheless, President Obama is a decent man and walks closer to truth than most other American politicians. My opinion. I am a great fan of Obama – yet has lack of integrity on this matter troubles me. Integrity is not a matter of convenience — I was quite impressed with the man who said in 2006 that Americans deserve a president with the courage to call what happened in Armenia genocide — they still deserve that president.